I once wrote an article about Sibelius and how came to love his music. I described the vivid feelings and visions his music inspires, but upon reading the article again I realized that I had overlooked a small, yet very important, element when listening to classical music. 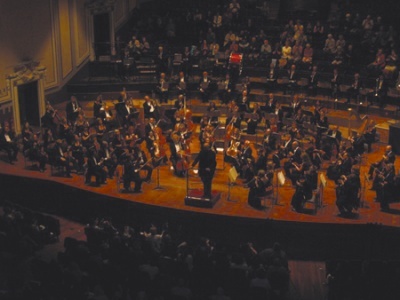 Classical music is similar to a great deal of contemporary music in the way that most of the composers are dead and when they first performed, orchestrated or conducted their music recording was impossible. Nowadays, in the era of digital recordings and laser discs, everything is different but still most of the composers are long gone. What does remain are scores from the music of Beethoven, Mozart, Sibelius and more, but this is where that important element I missed in the last article comes in. The conductors, the people that orchestrate the music and lead the symphonic orchestras, bring us all of these beautiful symphonies written centuries ago. The music conductors take classical music composition to the next level because they add their personal esthetics, experience and style. Most people have heard Beethoven’s Seventh Symphony, yet try listening to one conducted by Herbert von Karajan and one by Leonard Bernstein. Herbert von Karajan’s Seventh has a strong tempo, the feeling of orchestra acting in perfect order; the percussion gives the rhythm and the violins lead this army in perfect formation. However, if you listen to Leonard Bernstein’s performance, then you'll notice that the orchestra invites you to join, to move your hands softly in the air trying to catch the flying notes and you have the feeling that Beethoven is actually playing the piano. This is the missing element, the conductor that leads you into the forest of which the composer had dreamed. Sibelius, himself, favored his son-in-law, Jalas Jussi for many reasons among the obvious. He was conductor of the Finnish National Opera while Sibelius was still alive and naturally he had the composer often leading him, literally in his own house; and there are dozens of recordings with Jalas Jussi conducting Sibelius' music. 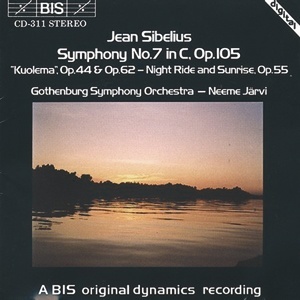 Still, and this is personal opinion, Jalas Jussi’s conducting didn’t have the inspiration demanded by Sibelius' scores and you can feel it only when you listen to somebody who has that inspiration and the talent to move you inside Sibelius’ forest; one such man is Neeme Järvi, an Estonian-born conductor. Neeme Järvi was born in Tallinn (June 7, 1937) and studied first there and then in St. Petersburg (Leningrad then) under the instruction of Evgeny Mravinsky among others. Mravinsky was legendary for his dynamic conducting, his total technical control over the orchestra that let him often change tempo with small gestures, you see one more of his characteristics was that he avoided a baton. Neeme Järvi adopted the style and with hard work perfected his technique and control over the orchestra. Soon he worked with the Estonian Radio and Television Symphony Orchestra, the Estonian State Symphony Orchestra and Tallinn Opera. In 1971 he won the first prize in the International Conductors Competition in Rome something that gradually gave him the necessary international recognition that led to his immigration to USA in 1980 and to US citizenship in 1987. He became the principal conductor of the Gothenburg Symphony and later music director for the Detroit Symphonic Orchestra and the New Jersey Symphonic Orchestra - a post he still holds. In his seventies nowadays, he’s still active, even though he’s not conducting so often and his son Paavo Järvi seems to have both his father’s talent and understanding of music. Neeme Järvi musically found himself from the very beginning in the romantics of the early 20th century and after experimenting with his compatriots Eduard Tubin and Arvo Pärt it was natural to turn to his famous romantic neighbor Jean Sibelius. His early 1961 live recording of the Lemminkainen Suite (The Swan of Tuonela) with the Leningrad Philharmonic Orchestra is unique for me, as is his 1965 live recording of Sibelius' 7th Symphony in the Moscow Conservatory. It's exactly as I said in my last article that the feeling of the Finnish forest, the legends and the sagas of the land of the ice, really come to life. However, Neeme Järvi’s work doesn’t stop at Sibelius, the Shostakovich Symphony #11, also known as “The Year 1905” or Tchaikovsky's Concerto for Piano and Orchestra #1 are superb performances for the Estonian conductor. Next time you find yourself browsing the classical music section of a good record shop remember the name of Neeme Järvi because he is the missing element to make classical music composition perfect. Indeed, Schopenhauer too, who reflected long and hard on the nature of art, thought of music as the highest and quintessential art form, the missing element in many theories of aesthetics that focus primarely on painting. Rather than simply representing the Platonic Ideas, music for Shopenhauer brings us into direct contact with the will, that is to say the disinterested detached contemplation of the spectacle of universal striving. For him music and the will are two intertranslatable languages in which everything said in one can be said in the other. It permits a direct experience of the will both as the substance of ultimate reality and as insatiable. There is in fact a longing in all Romantic music which gives it its identity and uniqueness. The artist operates in the space between those realms, depicting the vanity of willing but not yet seized with the ultimate futility of all of man’s undertakings. This makes the artist a tragic figure, condemned to tell the truth about the world, yet doomed to fail. The lynchpin between the composer and the audience is the conductor who can interpret the composer’s message faithfully and be a genius, or refuse to interpret sticking to the letter of the score rather than its spirit and thus ultimately distorting it. That makes all the difference between great conductors and mediocre conductors.